The McIlveen Family Law Firm focuses exclusively on family law and is committed to helping families resolve their legal family matters. We are highly experienced in family law. With over a 100 years of combined experience, our team can help you make good decisions, whether you need help understanding child custody laws, determining your entitlement to alimony or child support, or learning how to protect your assets. We recognize that filing for divorce or filing for custody of your children is never an easy decision. At the McIlveen Family Law Firm, you are not just another case to us. We realize that family law shouldn’t be one size fits all. We promise to talk to you about your situation, discuss the best options for you, and to help you achieve the best results possible for your family. In many cases, we are able to reach a settlement without going to court by negotiating with the opposing attorney or through the mediation or collaborative law process. While we truly believe that if a case can be resolved without going to court it is usually best for families, we know that not every case can be settled. We are litigation attorneys and when cases can’t be resolved we will aggressively represent your interests in court. 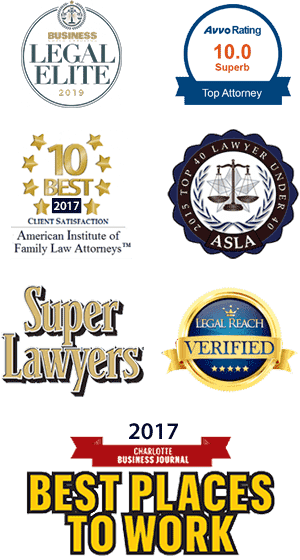 You can learn more about choosing a family law attorney, family law issues, where we practice, and McIlveen Family Law Firm reviews by exploring our website. You can also schedule a consultation to meet with one of our local family law attorneys. We look forward to working with you.